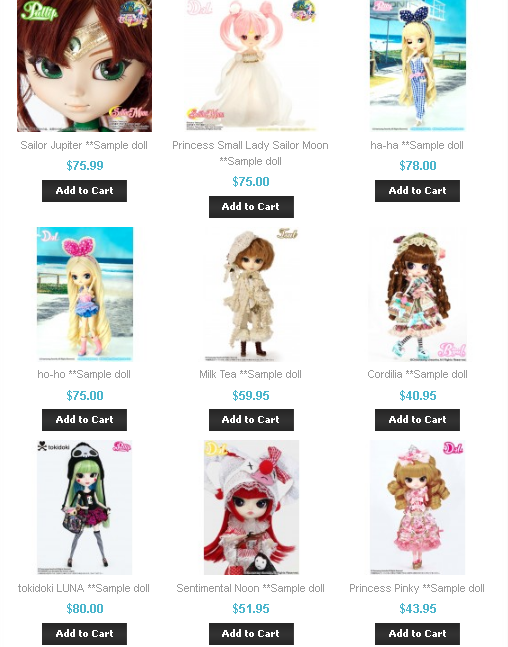 ← Pullipstyle Opens Preorders for June restocks and MIO kits! JPGroove is at it again with one of their sample sales! For those of you who are unfamiliar with their sample sales, JPGroove periodically has them via their website they don’t really seem to follow any sort of set schedule the sales just all of a sudden appear without warning normally just in time to hit me where it hurts most right in the paycheck. The dolls sold as a part of it are product samples that were previously used for display at various stores/conventions because the dolls were displayed previously they do not come with their boxes, cards or stands. It’s also possible that some smaller accessories may have become misplaced though JPGroove is normally pretty good about listing any missing items. Below is a small sampling of the dolls available via the sample sale, you can check out the whole selection of what is currently available here! It is important to note that all sales are final for items purchased as a part of the sample sale, there are no refunds or exchanges. 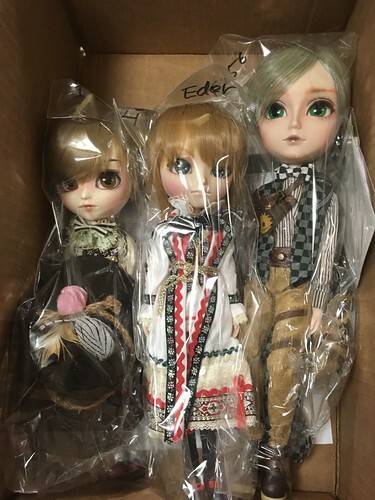 For the most part dolls the dolls all seem to be in nice condition but I buy with the expectation that they may have a few small issues that I will have to fix and then I am pleasantly surprised when the dolls arrive in nice condition. Here is a picture of one of my recent orders when it arrived, I was really surprised to see such recent releases such as Isul Eder as a part of the sale. 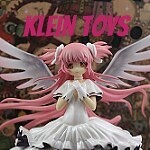 I hope to get reviews of my new arrivals up on this site soon, I really must apologize for my recent silence here. Unfortunately sometimes real life leaves me with little time to focus on dolls, things finally seem to be calming down again so I’m hopeful I can return to being able to focus on the site more. This entry was posted in byul, Doll, isul, Pullip, Taeyang/ Namu and tagged byul, Dal, eder, groove, isul, isul eder, isul hansel, jpgroove, Pullip, pullip sale, taeyang, taeyang dodo. Bookmark the permalink.